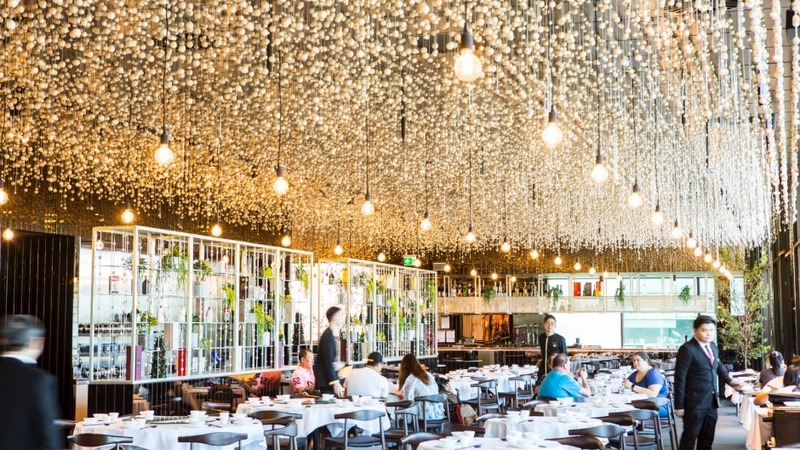 Yu Kitchen is a glamorous new Chinese restaurant in Chadstone's luxury precinct, within dummy-spitting distance of boutiques selling bejewelled handbags and improbable heels. It is above Calia, a fancy foodstore and cafe that has partnered with the Malaysian restaurant group that has opened Yu. I am not generally drawn to shopping centres to eat or even to shop. However, recent trips to Singapore and Kuala Lumpur helped me understand that real life happens in mega-malls too, and that air-conditioned, clockless gleam does not ipso facto mean bad food. Yu Kitchen continues the campaign: it is excellent, whether you come at lunchtime for yum cha, or later for swish a la carte dishes. The room is beautiful, carpeted and tableclothed, the ceiling strung with beads that represent the abacus. The view is towards the carpark but that's Chaddy for you, and at least you can see the sky, especially if you sit on the terrace. 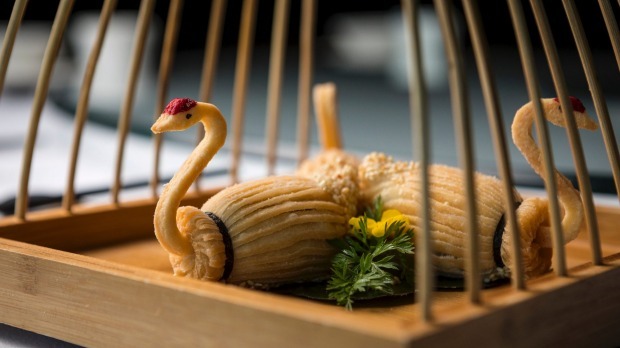 Service is attentive and well-drilled; there is a lot of pride threaded through details such as the elegant teapots, spectacular plating, even the free-range chicken and pork, unusual for a Chinese restaurant. 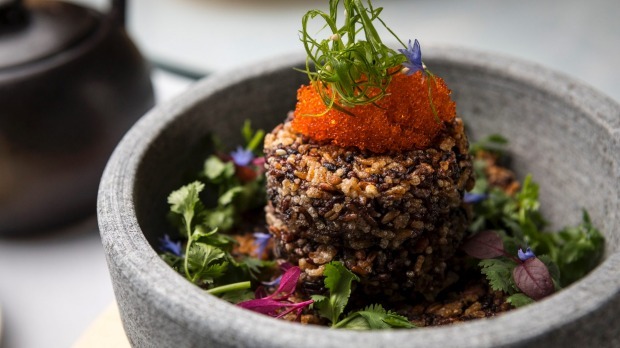 A swag of high-profile chefs is at the helm, including Chen Kentaro, son of Chinese Iron Chef Chen Kenichi, ex-Silks chef Bernard Kong and James Ho, the Malaysian owners' group executive chef. They bring experience from across Asia, and the 44-page menu is a premium blend of classic and contemporary flavours. Chef Chen has Sichuan heritage and grew up in Japan. 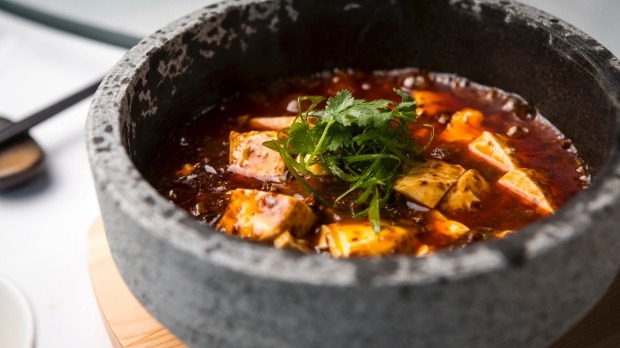 His signature mapo tofu is sublime: a rich and spicy claypot of tofu, minced pork, Sichuan pepper and fermented chilli. It is a classic dish: I order it whenever I see it and this is a brilliant rendition, exquisitely balanced and judiciously spiced. Another Kentaro special is the chawanmushi (steamed custard) with crab and foie gras. It is sweet, delicate and powerful, and also signals a facility with high-end dining from both east and west. Many dishes are aimed squarely at the Chinese market, with prestige ingredients (abalone, caviar, wagyu beef), medicinal properties (bird's nest) and even lucky pricing (lots of eights) to the fore. Other items appeal more to Western diners: the broccolini with XO butter struck me as must-order flavour alchemy; apparently Chinese diners don't see it that way. There is plenty of theatre. Chicken broth is poured over a claypot dish of crunchy puffed rice cakes, crab and roe, causing crackle and sizzle. Glossy whole ducks are paraded through the room on whooshing trolleys to be carved at the table (order ahead if you want one). 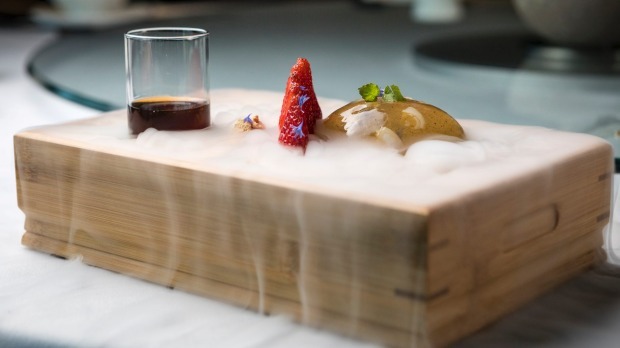 Dry ice wafts from the tray holding a wobbly raindrop jelly cake, infused with Sichuan pepper. The full menu is available at lunchtime but freshly made dumplings beckon too. Order from the tick-a-box menu to fill up on great renditions of classic dim sum – juicy chicken siu mai, sweet and fluffy barbecue pork buns – and a selection of prestige morsels. Baby abalone comes in a buttery pastry cup. Truffle and wagyu combine in a supremely rich baked dumpling. "Heavenly Swans" wrought in crisp layers of pastry are filled with sweet lotus paste. It is all very lovely but I have to confess a lingering resentment. Yu Kitchen is so nice that it makes me want to spend more time at Chadstone.